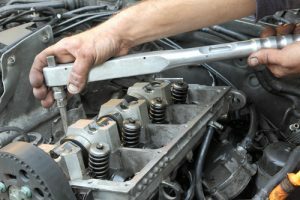 The basic mechanics of both a diesel and gasoline engine is similar. Both are types of internal combustion engines that use a a combustion process to convert fuel into energy. A diesel engine does not use a spark plug to generate the cycle of a piston. Instead a diesel engine uses extreme compression to generate the heat needed for the cylinders in the engine to function properly. At Smith Automotive Services we’ve serviced hundreds of of diesel engines and light duty diesel trucks in the Cleveland, TN area. We have the knowledge and the tools to get the job done right the first time. Our ASE certified staff have the experience it takes to repair your diesel engine. We work with several local companies to keep their fleet vehicles performing their best. We offer quick service and can accommodate most payment methods for fleet vehicles. We now offer annual DOT certifications on light duty vans, trucks, and trailers.